Use good skin care products that moisturize skin while slowing down skin aging. NOW Foods Grape Seed Oil provides moisture and prevents damage caused by skin aging. It is an emollient that conditions the skin for a long time. Other than its moisturizing properties, it has great therapeutic effects that keep the skin young and healthy. The light consistency of grape seed oil works perfectly for the skin. It penetrates the deeper layers instantly and provides hydration to the skin. It is odorless and has a pale yellow color. 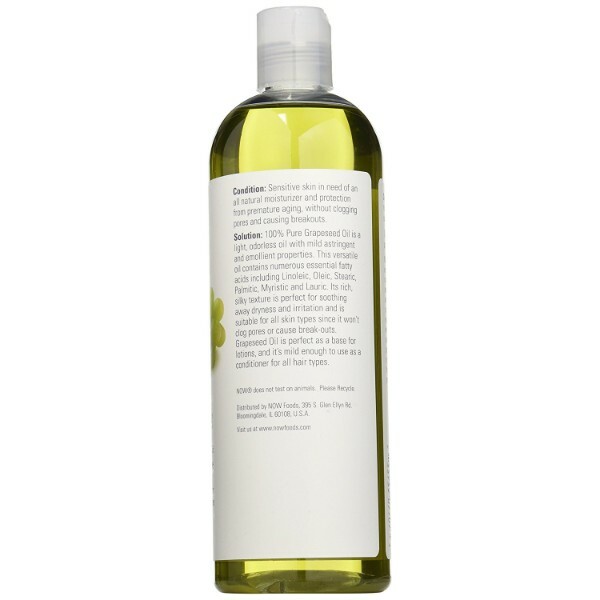 NOW Foods kept the grapeseed oil pure to preserve the nourishing effects it has for skin. The grape seed oil contains essential fatty acids such as linoleic, oleic, stearic, and palmitic. These are omega fatty acids that work well to provide moisture to the skin and prevent dryness. They have anti-inflammatory properties as well which help treat skin conditions such as acne and pimples. With the versatility of grape seed oil, it works well when mixed with other skin care products such as lotions and creams. 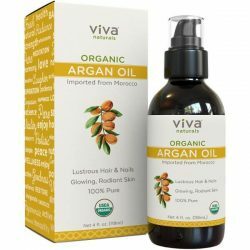 It gives the product added nourishing and moisturizing effects. It is a common carrier oil that dilutes stronger oils while giving it better effectiveness when applied to the skin. 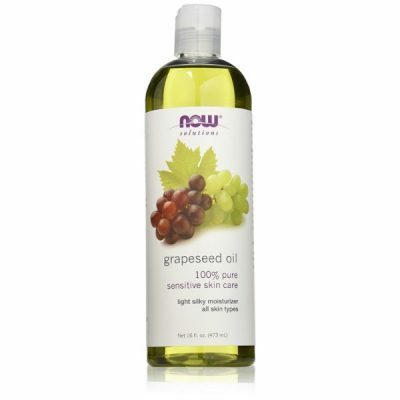 NOW Foods grapeseed oil has a light texture and makes the skin softer after use. Due to its light weight, it does not leave an oily residue. It improves the texture and elasticity of the skin, making it smooth to the touch. The rich yet mild oil soothes dry skin without causing breakouts. Another benefit of using the oil as a moisturizer is that it does not clog the pores due to its absorbent property. 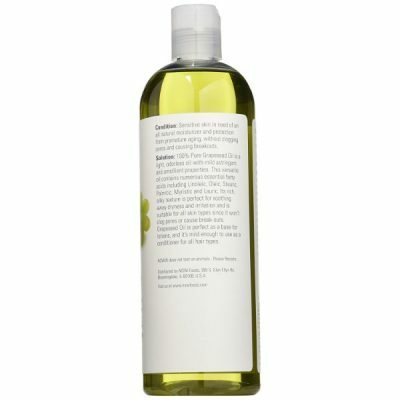 Apply it to hair as well to prevent flyways, split ends, and the rough hair texture. Enjoy having a healthy skin and a silky hair that shines. Has a light consistency that absorbs fast into the skin. 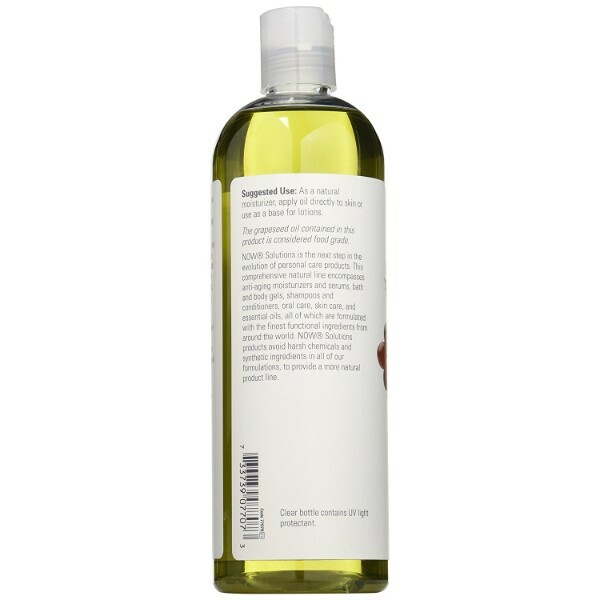 Makes the skin and hair smooth without leaving an oily residue. Does not clog the pores or cause breakouts. Comes in an odorless liquid that is pale yellow in color. Made from 100% pure grapeseed oil. Protects skin from damage caused by free radicals. 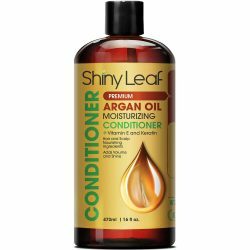 Works well in moisturizing the hair. Contains essential fatty acids that soothe dry skin. Mild and gentle enough for all skin types. For external use only. Apply directly to skin and hair or mix with skin care products. To apply to skin as a moisturizer, put enough amount of grapeseed oil on palms and rub hands together. This warms the oil and increases its absorption ability. Apply to skin and massage until fully absorbed. Do this until entire skin is covered. Pat skin to remove excess oil when done. To use as moisturizer for hair, apply from midlength to tips when hair is damp. This is best used after shower. It also works as a styling agent. Use small amount of oil to tame flyaways and stubborn hair. 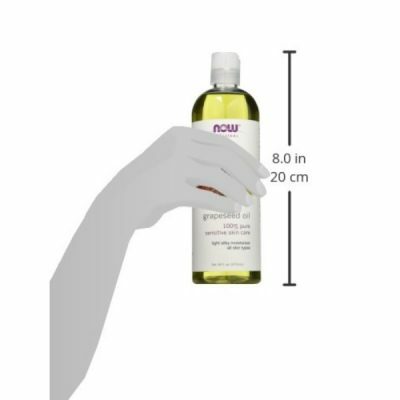 100% Pure Grapeseed Oil is a light, odorless oil with mild astringent and emollient properties. This versatile oil contains numerous essential fatty acids including Linoleic, Oleic, Stearic, Palmitic, Myristic and Lauric.